You must have seen those big screens usually mounted on the skyscrapers, showing the ads of multiple products. When the add is running on, we often don’t think of the screen; however, when the screen is off, you could actually see through it. It might seem magical to some extent, but it is the new generation of technology that most of the businesses have already adopted, and the rest is on the way. The cities are not only growing, but they are getting upgraded in terms infrastructure and the overall structure. The buildings are getting taller, at the same time, the developers are attracting the potential property buyers with the attractive structures such as glass walls. The creative designs are always eye-catching, and always fascinate the passer-by to take a look at least once. Let’s see what a transparent display screen is and why is it trending nowadays. A transparent LED display is known as See-through Display, totally made-up of glass material. All those things which you can see on the regular screen can also be seen on the transparent display screen irrespective of the size and graphical representation. In the transparent screens, two thin layers of the glass cover a group of LEDs, especially organic LEDs (OLEDs). It is a light-emitting diode consists of an optical phenomenon which emits light when the electric current is passed through it. 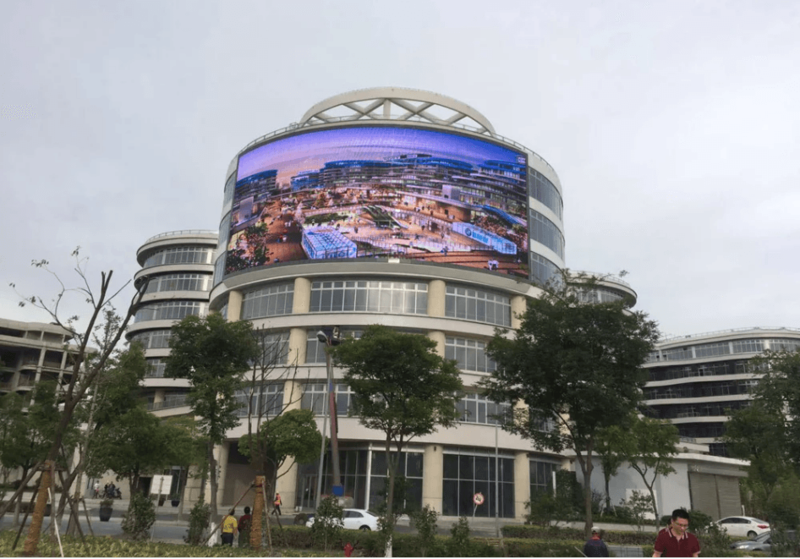 Overall, the structure of the transparent LED screens is entirely different, and a bit expensive than regular LED or LCD screens, but the latest market trends have taken over the competition and transparent LEDs are becoming more popular. Transparent LEDs can be seen in several industries and are common in some scenarios. Nowadays, the mobile companies and electronics manufacturers are trying to introduce the mobile phones, TVs, tablets, computer screens and several other displays to be transparent. This is majorly because of the increasing demand for the augmented reality. It is funny, on the other side, it is a fantastic experience of performing actions based on the things present behind the screen. It is a real-time application which uses the surrounding of your device and allows you to make use of it. This phenomenon is called augmented reality. Several applications such as games, GPS, measuring tools and so on are best suitable for the transparent LED displays. Retail Sector also has big applications of transparent LEDs. We often see those big frames displaying the food items in the shopping marts or the food chains. Most of the times, these screens are also transparent and are set in such a way to showcase whatever lies behind. Apart from the marts and retail stores, transparent LED displays are also used in the live concerts and event stages decoratively. The visual effects are played on the screen whenever required. The skyscrapers, as seen earlier, also contain such transparent LEDs that help the advertisers to showcase their ads, and meanwhile, when the screen is off, it doesn’t affect the overall structure of the building. To conclude, transparent LED displays have changed the world of screens and have enabled a new horizon for almost every sector. Previous PostWhat Should I Check Before Buying Endowment Plan?